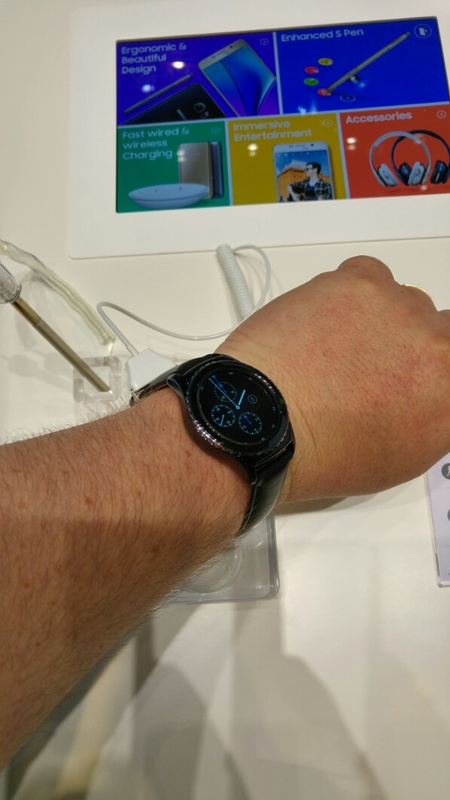 The Samsung Gear S2 is Samsung’s latest smartwatch and they think it’s amazing. The above photos show the classic model on my wrist. There is also a sport model which looks dull on photos but in real life is rather good to admire. I have owned a wide selection of smart watches. See here for my reviews https://gavinsgadgets.com/review-links/wearablesfitness-trackerssmartwatch-reviews/ . 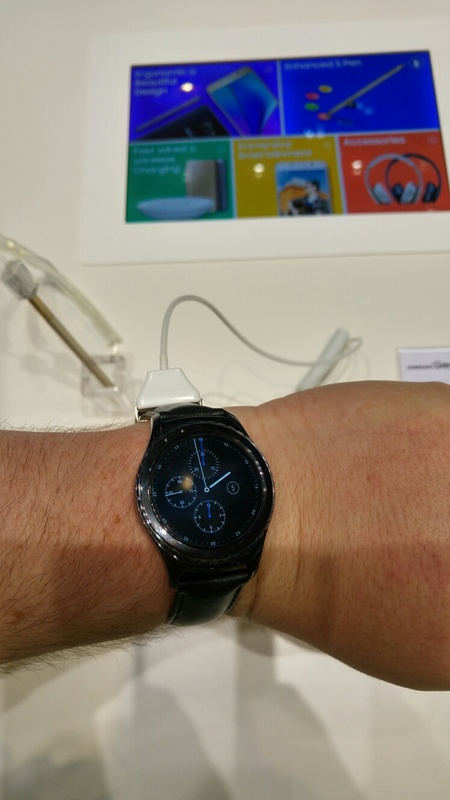 So what did I think of the new watch from Samsung. Actually, it is rather smaller in person, and consequently looks and feels consider a smaller than the LG Watch Urbane. So what you have is a watch that looks good on wrist and not overbearing. Then you have the news that Samsung is allowing other Android phones to connect to this watch. There is a rumour coming out IFA that Samsung will allow this watch to connect to iPhones. The only issue of using another brand of Android phone or an iPhone is the watch will lose some of its functionality. So what is the Gear S2 like to use in real life? Actually it is the smoothest and slickest out of any watch including my own LG Watch Urbane. It scrolls really quickly between screens and with the rotating bezels makes light work of everything. I was impressed. So what are the drawbacks? Maybe it will be the lack of third party developers developing for the platform! However even if the number of apps out of the box are minimal, it still provides an awful lot out of the box and should be ideal for many people! I’m saving my pennies for this.